anyone wanna help a girl out and tell me a good strumming pattern for this? omg! i love this song so much and it is so sweet thank you Shawn. Shawn Peter Raul Mendes (born August 8, 1998 in Toronto, Ontario, Canada) is a Canadian singer-songwriter. 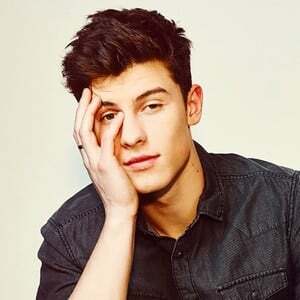 Since the release of his self-titled "The Shawn Mendes EP" and his debut single "Life of the Party", he has been gaining mainstream success as a singer-songwriter and touring artist. Mendes was born in Toronto, Ontario, Canada and was raised in Pickering, a suburb of the city. He is the son of Karen, a real estate agent, and Manuel Mendes, a businessman.